TreeGO represents your opportunity to join the growing team of recreational professionals who have discovered the personal satisfaction and financial rewards of running a TreeGO business. Outplay Adventures LLC. and TreeGO provide the best ready-made TreeGO Business Opportunity supports a healthy approach to everyday living. 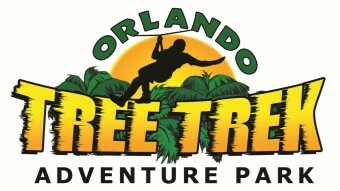 TreeGO has a reputation for setting the aerial adventure product quality standard. Outplay Adventures LLC. TreeGO’s product founders have been leaders in developing the industry in France which now boasts over 400 parks. TreeGO courses demonstrate the company’s engineering and design excellence, our passion for innovation and safety, and our commitment to protecting the environment. A Growing Trend: TreeGO courses are the perfect adventure for children, teens and adults. It is the ideal activity for local community and seasonal visitors, recreation centers, summer camps, and corporate outings. A growing trend in the ecotourism industry, this sector has shown a promising growth of 9% worldwide last year alone. Our courses generally see between 200 and 350 visitors a day or 15,000 to 25,000 visitors annually. Start Planning Now: TreeGO is further expanding into major tourist areas and urban centers, bringing tree to tree adventure, fitness, and family connections to communities throughout North America. If you are interested in TreeGO Business Opportunity, it is important to plan ahead. The new license schedule is established early in the year, generally beginning 6 months to one year prior to construction. Find out more about Outplay Adventure’s LLC. TreeGO’s marketing, business support materials and how we can get you started on your own business – today! Contact Dave Johnson at info@outplayadventures.com. © 2019 Outplay Adventures, LLC. All Rights Reserved.